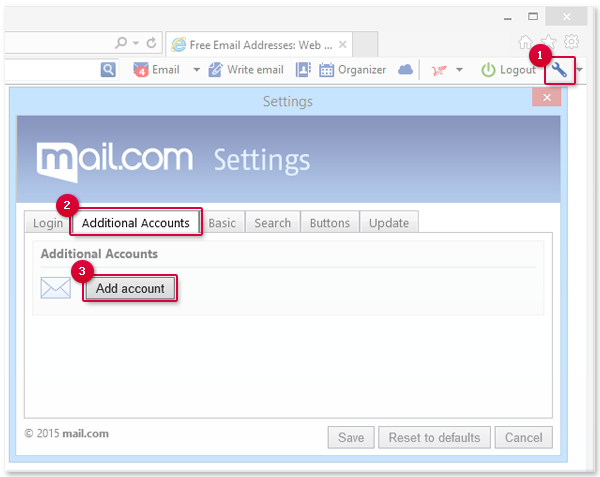 You can easily manage multiple accounts with mail.com MailCheck. You can add new ones or delete those, which you do not need anymore. You can use mail.com MailCheck with other mail.com addresses. 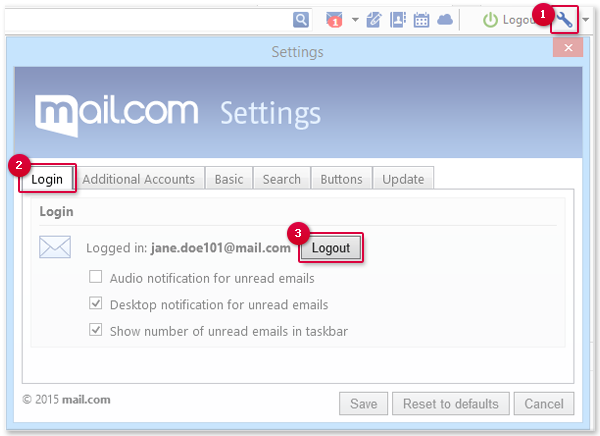 You can also get notifications of new e-mails from GMX e-mail addresses and access the relevant mailbox using MailCheck. The other MailCheck functions can, however, only be used with your mail.com Account. Click the wrench icon to open the settings. Enter the e-mail address and the associated password. Your Account is added to MailCheck. Your Account is removed from MailCheck.